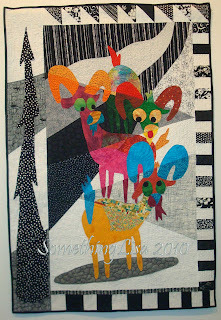 Fun quilts! Love the beaded binding-whew, lots of work! But the 3 billy goats is my favorite. 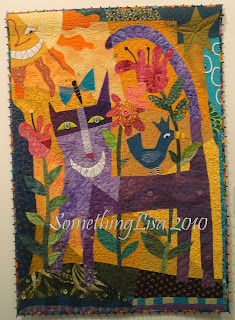 Who is the quilter-artist?